ON TOUR 2014: Scream for me, Poland! The Maiden England World Tour comes to Poland this summer. Iron Maiden will play Inea Stadium in Poznan, Poland on June 24th. Tickets go on sale February 19th. 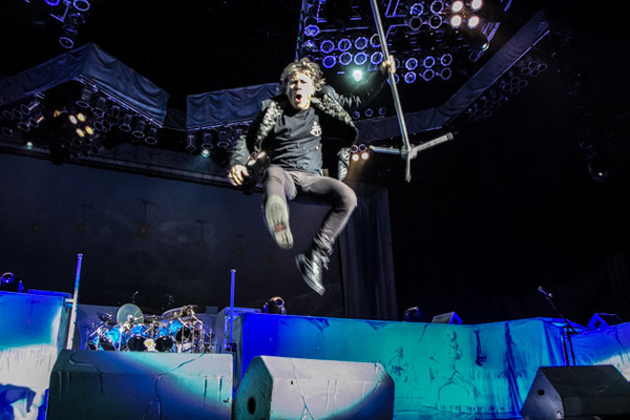 ← ON TOUR 2014: Bergen, Norway – get ready for Maiden England! 17 down, 5 to go! That’s the rumour from somewhere on the IMOC, but it doesn’t seem to me that there’s room for more than a couple more. They haven’t said anything specific about the stage set, but Rod has allowed it to be stated in press releases that they’re doing a Seventh Son theme with ice and pyro. Sonisphere UK is the last show of the tour, so there’s no chance of US dates. Which I think is fair enough, since they toured the US with Maiden England in both 2012 and 2013. Will we see a Dublin ?